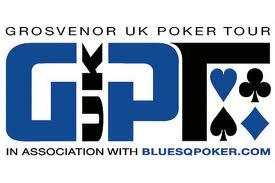 London Victoria is known as one of the best venues to play poker, and this coming March the second leg of the Grosvenor UK Poker Tour (GUKPT) will roll up with a schedule that looks fantastic, and with numerous other cash games and side events on offer, there is sure to be some fantastic action with a tournament for everyone. The side event schedule will start on Wednesday 9th March with a Super Satellite Re-Buy @ £80 + £12 with ten seats guaranteed. This re-buy starts off with a stack of 3k chips. Play gets underway at 7.00 pm on the first day, but be sure to check the schedule as starting times do vary from day to day. The side events run all the way through until Sunday 20th March when the event comes to an end. The main event action starts on Thursday 17th March with a No Limit Hold`em £1500 + £90, with a starting stack of 15k chips. Start time for this event is 2.00pm. Registration closes 15 minutes before the start of each tournament, so don’t be late. There will be something for everyone with No Limit, Turbos, Re-Buys and Pot Limit Omaha games available. If you want to be part of the action but some of the prices for a direct buy-in are a bit out of your price range why not try a qualifier at gcasino.com/Poker. You are sure to find numerous events and qualifiers galore. You could guarantee yourself a seat for little or no cost which offers even the less experienced poker players a chance to play with the big boys. Winner of Leg One in Manchester Peter McAdams took home a healthy £58,100 for first place in last months main event. With a prize pool of £207,000 for that particular game can you afford not to be there? For further information you can contact Grosvenor Victoria Casino, 150-162 Edgware Road, London, W2 2DT or telephone 02072627777. This entry was posted on Monday, February 21st, 2011 at 4:55 pm and is filed under Poker News. You can follow any responses to this entry through the RSS 2.0 feed. You can leave a response, or trackback from your own site.